Three novellas make up this delightful triple-header. In Karen Ball’s “Bride on the Run,” an heiress defies her father’s demand that she marry a man she doesn’t love. If only she hadn’t waited until her wedding day to do so! So it’s out the window, down the rose trellis … and headlong into one escapade after another. Liz Curtis Higgs delivers “Fine Print,” where a businessman and the speech coach he’s hired have no idea there are matchmakers at work on their behalf! 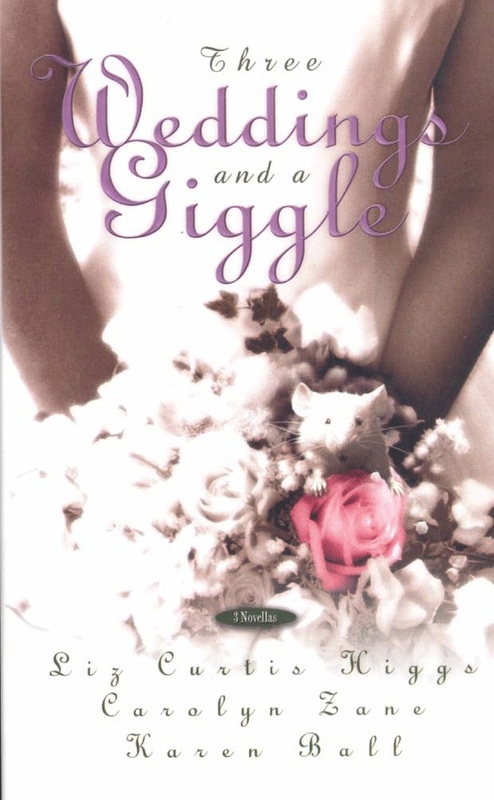 The “giggle” comes from Carolyn Zane, whose “Sweet Chariot” drops readers in on two little old ladies who purchase a motor home sight-unseen, then drag their adult grandchildren along for cross-country antics. Thoroughly fun!